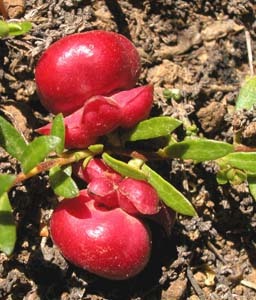 Gaultheria tasmanica is a prostrate alpine shrub with small narrow leaves and much larger, fleshy red fruit. 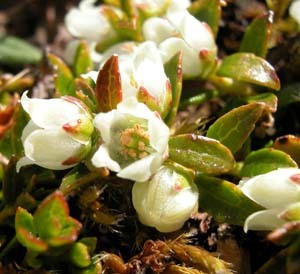 It is quite common on the higher parts of the Central Plateau. The calyx lobes are also fleshy and spread outwards.